Ship tactics “The individual has been trained in the operation of a starship or space ship in battle”. Fleet tactics “The individual has been trained in the use of formations and maneuvers in naval operations”. 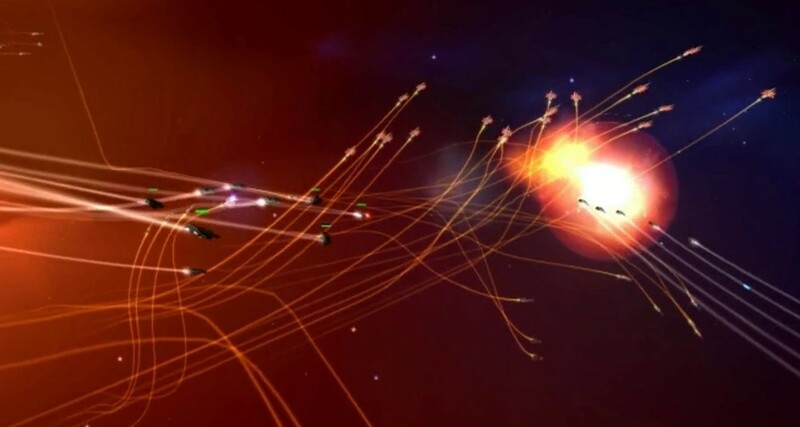 Ship tactics allow multiple ships in a group, all with the same position, vector, facing and roll, to move and fight as one, you can even form volleys of weapons from different ships under your command, three fighters with one laser each can attack together as a three gun volley with a DM of +3 for example. Ship tactics skill level determine the max number of ships under your control, Ship tactics skill level also break Initiative ties. The Pilot of the Ship tacticians ship roll against the largest ship Size under command, and the result is then shared by all ships under command, they move and fight as one ship for Initiative purposes and turning. Ships that cannot maneuver from Stun or Hull damage cannot be included in a tacticians command. Fleet tacticians allow multiple groups or or ships within range and with the same vector, facing and roll to share a common Pilot task result and computer dice pools. The Pilot of the Fleet tacticians ship roll against the largest ship Size under command, and the result is then shared by all ships under command. All ships pool their computer dice pool and use dice from the pool to increase improve their task roll. No task roll can use more dice than the best computer under command. A group is either an individual ship or a group of ships under command of a Ship tactician. Ships that cannot maneuver from Stun or Hull damage cannot be included in a tacticians command. So, in short, Tacticians allow ships under his command to turn and move, and most importantly; fight, as one and have Initiative as one. Tacticians turn groups of ships into single units, allowing them to fight as one, which, incidentally, also immensely speed up large engagements. Fleet tacticians extend the allowed separation for ships under command and may also share computer dice between ships similarly to how AWACS planes assist individual planes. Crew? I pilot the ship, I astrogate for hyperspace, I scan with my sensors and if I see something I don’t like, I shoot it with my lasers. Repairs? Hah, my ship is too scared of me to ever break down. Sir Charles Pancroft, Baron of Centry, on the merits of a one man ship crew. Tactician (Pilot) The ship is small enough that the Pilot and Tactician can be the same person without penalty. Instead of using the lowest result of the Pilot roll and the Tactician roll he simply roll once using the lowest skill of Pilot and whatever flavor of Tactician skill he uses (Ship tactics or Fleet tactics). Sensor ops (2) Sensor ops or Gunners crew number in parenthesis indicate that Intercept assumes the two positions are dual-role. If you intend to Scan after combat your attacks and defenses are modified by -2 and your scans are also modified by -2. If you want dedicated Gunners and Sensor Ops to avoid penalties from dual role simply write the number in the light yellow edit column to the right. 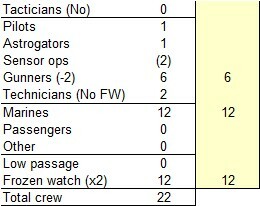 Gunners (-2) A negative value in parenthesis after the crew type is your Undermanning modifier, ‘(No)’ means you cannot perform tasks by that crew category because you have less than 10% of the required crew. Technicians (No FW) A ‘(No FW)’ means your Repair Crew must be repaired instead of revived by Frozen Watch because it has more than 50% robots. Low passage? A ‘?’ indicate that you don’t have enough freezers for the numbers you have chosen. Total crew? A ‘?’ indicate that you don’t have enough life support units for the numbers you have chosen. Frozen watch (x2) A ‘(x1)’ or ‘(x2)’ after Frozen watch indicate how many levels of damage you can restore from Frozen watch. You can never have more damage level restores than 2 no matter how large frozen watch you specify. The design system and ready-made designs have been updated as has the rule book (look at the top row for Ship.xls version and Data.xls version. Ship.xls version should be 2013-11-17 or newer). You can download them all from the Downloads page. Q: What do you call a timepiece that stops whenever the temperature goes below zero? Yeah, it is true, I finally managed to put it together and get it ready to download. there are lots of changes, rearrangements and tweaks, too many to mention all so I will just give you the major points. I have scattered some illustrations here and there in the rules to liven things up a bit and to exercise my limited artistic abilities. Download the latest version of Intercept and designs from the Downloads page. The design system has gotten some changes here and there but now for the first time there is actual documentation on how to design ships in the rulebook. This part is placed at the end, right before the tables and charts, so you can print out the Design rules in a separate booklet if you like. There are many changes to how ships interact with planets and these changes are reflected in the new mapsheets. There is one sheet with a small planet in the middle, one with a large planet and also one where a large and small planet are placed far apart to play out scenarios in the Earth – Moon neighbourhood. The mapsheets are now included in the Intercept bundle. Various missile customization options are tabulated in the rules but maybe not too deeply explained. Read about missile customization here. Planets have their own section now with rules on planetary line of sight, gravity etc in one place instead of scattered throughout the rules. The rules for stable orbits now cover polar orbits as well. The planetary line of sight rules and sun shadow rules have changed considerably so make sure you read up on planets if you use them in the game. A fancy name for the section where various Pilot related stuff is located. You will find rules for docking, ramming, landing on planets, crashing into planets, voluntary and mandatory areobrakes etc. This section is a good place for a Traveller referee to get less ad-hoc and more believable rules for ship to ship and ship to planet interaction with more choices and participation by the players while still taking the characters skill into consideration. A page on how to integrate Intercept with Traveller has been added, to be filled with rules and tips whenever someone actually bothers to give me feedback. For me, Intercept is Traveller so I see no real point in writing conversions for various Traveller versions, the most likely one to get this treatment will be the Mongoose version of Traveller which I like in many ways, mostly for its adherence to the original LBB version. Just subtract 1 from your Mongoose or Classic Traveller skill level to get the D to use in Intercept, GURPS players should use (skill – 10) / 2. Isn’t it a drag that regular 50 kg missiles endurance is only 15 minutes? One measly turn of full thrust. Wouldn’t it be nice to have missiles that start drifting and can be turned on when they are close to their foe. What about decoy missiles that mimic your ships signature? Frag missiles, missiles with sensors, longer range controllers, higher thrust missiles, the list goes on and on. What if you could custom build missiles to your own specifications? I am in the process of rewriting Intercept for its 3.4 release with some major changes in the pipe I though I should give you its custom missile rules as an appetizer. These rules will work with the old as well as the new, upcoming rules. So, without further ado, here comes the custom missile rules. Updated Design system, Rules and Maptemplates are available here. Small missile. 50 kg with 15 minutes endurance. They are sometimes called rockets and are all fission powered, they the only legal missile size for private ships. Medium missile. 500 kg with 30 minutes endurance. They are sometimes called torpedos, fission powered at TL 9- and Fusion powered at TL 10+. Large missile. 5000 kg with 1 hour endurance. They are sometimes called heavy torpedos, fission powered at TL 9- and Fusion powered at TL 10+. 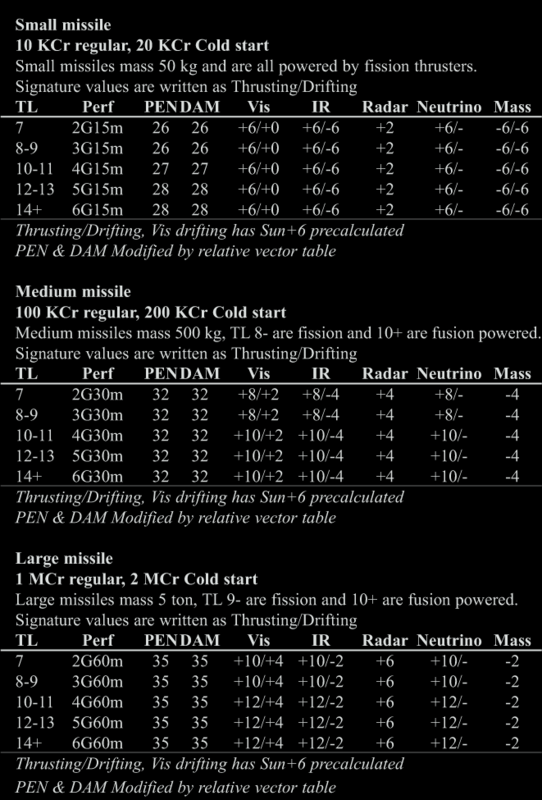 The standard capabilities of missiles can be seen in the following tables (which are also in the rulebook and will shown on your ship designs as well. The above basic missile parameters can be modified to achieve certain goals. 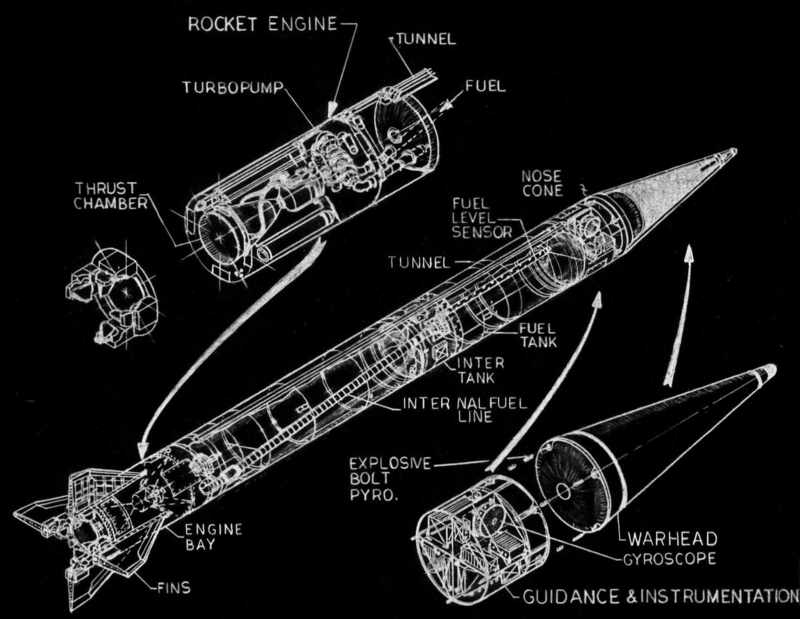 Most modifications alter the Thrust Gs of the missile and can be seen as modifications of the final dry mass of the missile. Modifications cannot modify the Thrust Gs to less than 0 and if modified down to 0 the missile will drift only, useful for decoys and sensors missiles but not much else. 0G missiles cannnot attack ships, even if they land on the same square as a target, a 10 000 km square is pretty huge after all. Endurance modifications affect how long the missile can thrust, smaller engine leaves room for more remass and vice versa. Missiles endurance will start ticking as soon as they launch regardless of endurance. If you want to launch them drifting you must add the Cold start option below. Double, triple or quadruple endurance also affects Controller range with the same multipliers, half endurance does not reduce controller range. Normally it is the launcher that starts the engine for the missile but if you want to launch your missiles driftig you should add the Cold start option. Cold start does not allow you to turn on or off the missile at a whim, once started the engines cannot then be turned off and they will continue to burn until their endurance limit is reached. Cold start option doubles the price of the missile. If you want your missile to fragment before hitting thus increasing the hit chance at the expense of penetration and damage you should consider the Frag option. Giving a missile the frag option does not modify Thrust and does not affect price, it merely changes how the missile deals damage. Frag missiles are favorites among pirates as they can easily take out weapons and sensors of a ship (making them blind and defenseless) without unduly damage the ship and its cargo. Decoy mods come in three varietys Visual & Radar, Infrared and Neutrino. There is no way to alter a missiles Mass signature, not at the Tech Levels Intercept deals with (6-16). Visual & Radar decoys are metal foil balloons, IR decoys are burning magnesium or thermite charges with the appropriate oxidizers, Neutrino decoys are short halflife radioactive compunds that mimic regular powerplants or thrusters. Decoy modifications really does nothing more than increase the signatures of the missile. IR and Neutrino decoy modifications run 4x as long as the missiles endurance and but they go online at launch like all decoy mods, even if the missile has the Cold start option. After the IR and Neutrino decoy mods have lasted their endurance the missile goes back to its regular, pre modified, signatures. Visual & Radar modifications are always on and have unlimited endurance. All missiles are operator guided and have a maximum range that depends on the missile type and TL of the launcher. Missiles beyond this range are auto­matically lost. 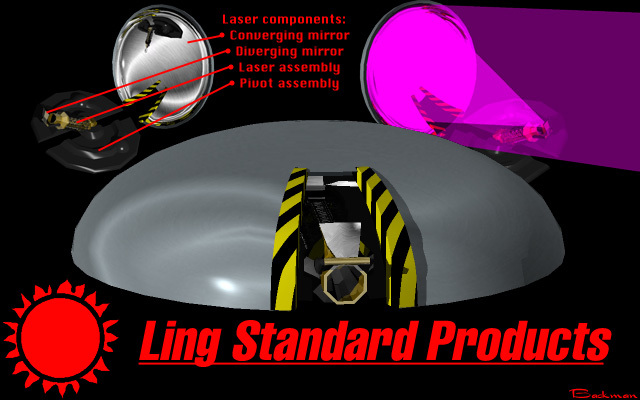 Launcher range is based on missile size and TL but is also multiplied by Endurance modifications and the Sensors option. Note that half endurance missiles does not reduce launcher range. Small missiles cost 10 000 Cr, Medium missiles cost 100 000 Cr and Large missiles cost 1 000 000 Cr. These prices are modified for some of the options above which should be all multiplied together to get the final price of the missile. Note that the Neutrino decoy option will only double the price once, regardless of how many levels of Neutrino decoy you give the missile. Well, that is all for now folks, and remember; it is not the missile that kills you, it is the sudden stop of the missile.